Whether preparing an authentic Italian dish with rigatoni or fettuccine, each pasta is unique yet maintains the same authentic golden hue and perfect classic bite. From two simple ingredients the center of Italian cuisine resides. Each shape has a storied past that is formed not through a recipe but a region and name. 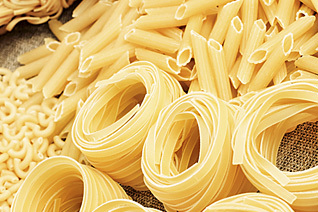 Whether preparing an authentic Italian dish with rigatoni or fettuccine, each pasta is unique yet maintains the same authentic golden hue and perfect classic bite.